This topic seems to surface on a regular basis, especially when accounting firms start getting comfortable with creating proposals after implementing Practice Ignition, the awesome proposal/client engagement software. So we thought we’d address the reasons why, grouping the entities for a client group, into just one proposal for the entire group, thoroughly screws with your internal “automated” workflow. How to converse with your clients about upfront pricing and payment! Moving to upfront pricing AND upfront payment for your clients, (as opposed to time/cost billing) can be one of the best decisions you make for your business, especially for your cashflow! Utilising our favourite engagement and payment software, Practice Ignition, the new experience for your clients is practically magical! It doesn’t come without it challenges though, for example, your team need to get their head around scoping work and providing a fee to the client, BEFORE they begin working on the job, which means that their level of accountability to be efficient in completion, just increased a great deal. Clarity Street attended the ABE2019 conference this week in Sydney. Here are our key take-aways! Is Your PDF Editor Costing You More Than You Think? When the PDF burst on the scene in the early 1990s, it heralded a new era of information sharing and the promise of lower printing and document storage costs. Although some of those perks are alive and well, many companies now face an unanticipated challenge—a PDF productivity solution that is increasingly expensive and contributes to the same cost overruns that the technology was meant to alleviate. Clarity Street received some pretty exciting and humbling news this morning, perfectly timed to celebrate International Women’s Day 2019 #IWD2019. Amy Holdsworth (me!) 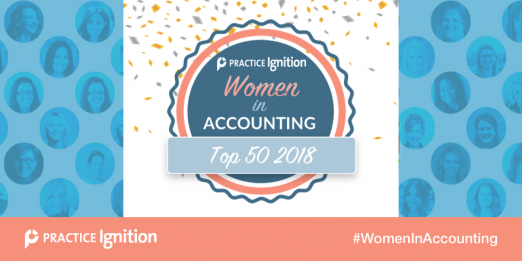 the CEO + Founder of Clarity Street, has been named among the 'Top 50 Women in Accounting' for 2018, submissions curated globally via Practice Ignition. Thank you to Practice Ignition for being at the forefront in recognising the impact that women have in this industry and celebrating our efforts, it’s so appreciated! Having been nominated by our colleagues and friends, the work we do within our company and community has also been recognised as outstanding by the extraordinary judging panel. It’s an absolute honour to stand amongst these Top 50 Women in Accounting, please join me in celebrating these remarkable ladies. The constant desire to make Accounting firms & SME’s more efficient and profitable, is how Clarity Street was conceived. With all the apps out there in the market place, the industry tells them "WHY" an app is great, but not "HOW" it fits together in practice. It is my sole purpose and that of Clarity Street, to assist clients understand "HOW" to actually connect their wonderful apps to streamline their internal workflows and processes so they can spend less time dealing with disjointed software, get more work completed, provide more value allowing for happier clients and increase capacity to translate to profits. Change needs to come from the top. The industry, in particular the industry bodies ie CPA, CA, IPA, generally need to recognise that females have equivalent value and skill sets and that just because you’re male, doesn’t equate to being more knowledgeable and therefore the trusted advisor. ​Globally we have a gender gap, but this isn’t about wages in my eyes, it’s about mentality and how women are perceived in business. It’s a two fold attack to bridge this gap, more opportunities to teach women how to value themselves equally and then develop skills to succinctly deliver this value and secondly, the industry needs to stamp out the “boys club” mentality and promote equality from a talent perspective. Point in case, I’m the CEO and director of Clarity Street and when my male counterparts join in on new client meetings, regardless of how open minded the client is or what information is being delivered, they will always migrate to my colleagues in preference of dealings. Women in business are constantly judged, for being too forward, too opinionated, too moody, too quiet, too…anything apart from just being good at what they do in their role. And when we stand up for ourselves then we’re emotional and whiny. It’s tiresome. How about, we are seen as equals within the industry, based on our ability and the outcomes for the client and business in general. In support of the above, it’s also time for new industry wide KPI's to be put in place that measure quality and output structured on deadlines and turnaround times to allow for more flexible working hours & environments for females in the industry. The mentality around being measured on dollar value performance or in relation to being visible during "standard" office hours needs changing. It’s outdated and archaic. We’re a formidable force and can multi task like no tomorrow, it’s time the industry recognised this and allowed us to deliver the outcomes required in a more flexible format. ​International Women’s Day 2019 #IWD2019 is a time to take stock and be thankful for every female before us who pushed the boundaries of society and conditioned thinking, to allow us the opportunities that we experience today. It’s also a time to celebrate being AWESOME! Once again thank you to Practice Ignition for their recognition of not only myself, but all women in the accounting industry. While it is just a top 50, I believe this sort of recognition only serves to improve the image and stigma of women in the accounting industry - Keep on drinking wine ladies! If you think that you need the services of Clarity Street, get in touch with us! It’s time to wrap up our app stack! Thank you for your continued reading of our App Stack series and we hope that you’ve gained some knowledge and insights into the applications that we recommend. These apps are enablers to the running of any business, in particular and accounting and bookkeeping firm. Our final blog in the series is discussing the additional applications that are not core, but can help streamline your business or firm. They perform various functions that might otherwise have been performed by a spreadsheet or some form of manual system. Last week we spoke about the importance of having a sound document management system in place. This week we are going to talk about the often neglected but primary function of Human Resources (HR) and in particular how getting this right from the start can allow for a smooth on boarding and exiting of staff members and heaven forbid if there is a non compliance HR claim made against you! In our last blog in this “App Stack” series, we discussed the options around E-Sign and Xero’s recent announcement on that topic. ​This time we’re discussing document management and storage, providing a little love for you all this Valentines Day, on a pretty involved topic! In our last blog in this “App Stack” series, we discussed the communication apps essential to any accounting firm or business for that matter. We were going to discuss the options around document management this week, however with a recent announcement from Xero, we thought it timely to discuss the options for E-Sign or Electronic Signatures. ​With the modernisation of communication in general, relying on hard copy documents that need to get posted and signed, is fast becoming an anomaly in many firms. It’s slow, costly and takes much more manual input to manage. In our last blog in this “App Stack” series, we discussed the additional compliance applications that help you as the trusted advisor around corporate affairs and self managed superannuation funds. This time we’re discussing the communication apps, both internal for your team and external for your clients.